Hint: You don’t have to be a wunderkind to be an entrepreneur. Before Theranos founder and CEO Elizabeth Holmes became one of the most infamous corporate fraudsters of all time, she was an archetype of entrepreneurship. After getting a game-changing idea at the age of 19, she dropped out of Stanford and spent her 20s building a multibillion-dollar business. The size of her success was important, but so was the age at which she achieved it. Youth seems to be a big part of the entrepreneurial narrative. When we aren’t hearing about startup millionaires in their early 20s, we’re being regaled with stories of famous entrepreneurs who began hustling in adolescence. If success is a by-product of working harder and longer than others, getting started before finishing your college degree seems to be the ultimate badge of legitimacy. The problem is that our conception of fresh-faced entrepreneurs isn’t backed up by data. According to the U.S. Small Business Administration (SBA), only 16 percent of small businesses are owned by someone under 35. The average age for startup founders is around 40, and for those behind the most successful exit strategies, it’s 47. In reality, Sara Blakely of Spanx fame is more representative of entrepreneurs than Holmes. Blakely built Spanx into an empire, largely thanks to the strength of her will rather than any entrepreneurial acumen. She didn’t even start until she was in her late 20s, long after the “prime” age for entrepreneurial adventures. 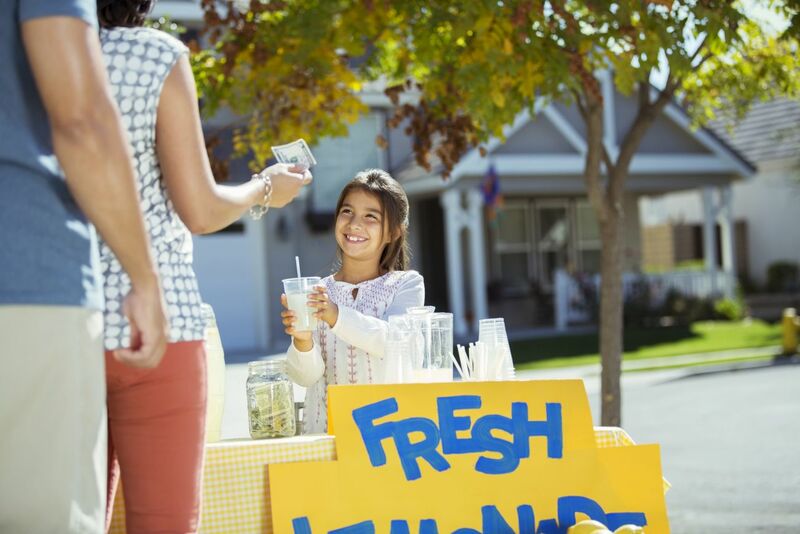 This myth that entrepreneurs all start out by selling lemonade and hustling from an early age is not just incorrect — it’s counterproductive. It sends the message that entrepreneurship is less legitimate or attainable for late bloomers. That could keep a lot of exciting, innovative ideas out of the marketplace, and worse, it might prevent experienced older professionals from staking out on their own because they assume they’ve missed their chance. I heard little about entrepreneurship growing up, and after college, I landed in a corporate job in publishing. Starting a business wasn’t even on my radar; that seemed the exclusive province of geniuses with resources. Later, I had a boyfriend who co-founded a successful startup, but even this up-close exposure to entrepreneurship didn’t convince me that I was equally capable of starting my own business. He had built his first business in college, so his achievements appeared to be the product of brilliance and an entrepreneurial family background. But I still was curious about this entrepreneurial thing. So, I started attending meetups and going to lectures. I began to realize that entrepreneurship wasn’t the elite club I’d assumed it was. In reality, entrepreneurs come from various backgrounds and possess different skill sets. Eventually, I built up enough confidence to quit my job and start my own business, NY Book Editors. Now, five years later, business is booming. The fact that I was late to entrepreneurship didn’t hold me back. In fact, my age proved entirely irrelevant. What’s important is not when you get started, but how you get started. 1. Run, don’t walk, toward criticism. Uncertain entrepreneurs must surround themselves with other independent business owners. Exchanging ideas reveals what’s possible and what’s unrealistic while empowering new entrepreneurs to learn from the mistakes of others. When Morgan Hermand-Waiche was still an MBA student, he pitched an idea to angel investor Fabrice Grinda — who hated it. Instead of giving up, Hermand-Waiche was thrilled by the feedback. And he continued to pitch ideas to Grinda over the next several months until he found a winner. That winner was Adore Me, the 20th-fastest-growing private retail company in the United States. 2. Don’t underestimate the power of positivity. I used to roll my eyes when I’d hear about maintaining a positive outlook and practicing gratitude. But over the years, I’ve learned that gratitude and positivity are not consequences of success — they’re precursors. Research from Harvard Medical School suggests that people who regularly feel and express gratitude are healthier and happier — not to mention better at inspiring others. Truly successful people make a point to practice gratitude. The other day, for instance, I was having lunch with a fellow entrepreneur when the server dropped an entire bowl of miso soup all over my companion’s silk dress. Even her shoes were drenched. Instead of losing her cool, however, she took this inconvenience in stride and refused to let it ruin our lunch. So, try to get in the same head space; maybe try a little mental exercise tomorrow morning: After hitting the snooze button, lie there and try to think of five things you’re grateful for, both professionally and personally. This will start your day off from a place of gratitude so you’re better prepared to tackle the day’s challenges. 3. Practice ruthless elimination. Many of us are so reluctant to choose what’s essential that we end up spreading ourselves too thin and achieving nothing. But a study in the British Journal of Health Psychology found people are two to three times more likely to achieve goals if they make a specific plan and set one goal at a time. For entrepreneurs, this means focusing on a few key things to accomplish. Everything else should be dropped or seriously scaled back. Give one idea a chance to succeed, and obsess over every detail. To start your journey to less, consider two books I recommend: Great at Work: How Top Performers Do Less, Work Better, and Achieve More, by Morten Hansen, and Essentialism: The Disciplined Pursuit of Less, by Greg McKeown. 4. Burn your ship. In 1519, Spanish conquistador Hernán Cortés ordered his men to burn their ships upon arriving in enemy territory (modern-day Mexico), where they were outnumbered. There was no option of retreat — they had to give everything they had to the battle. I like that story because it reminds me that we humans have a way of figuring things out when there’s no other way out. I left my job in publishing, even though I was offered a 20 percent raise. Instead, I burned my ships and buckled down financially. Don’t expect to indulge in creature comforts while starting a business. Be willing to live as lean a life as possible — for as long as possible — while investing every extra cent back into the business. The capital is important, but the sacrifice is what really matters. Tales of entrepreneurs who once sold door to door as kids make for beautiful stories. And they make sense to us. We look for reasons or characteristics in young people that explain how they became successes. But despite what the myth might imply, it’s impossible to “miss the boat” of entrepreneurial opportunities. Finding success isn’t about turning back the clock; it’s about preparing for the future — and that can start at any age.